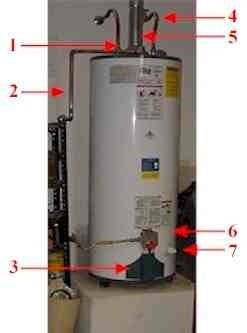 If your Water Heater can be repaired than we can fix it. The High Desert Plumber is local so you will save Money. Residents in Hesperia , Apple Valley CA , and Adelanto Can receive free estimates. Here is some basic information i found. It’s on the web about Hot Water Heaters in case you do not know what they are. “Also referred to as tank-type or tank style water heater. Residential water heating units range in size from 2 1/2 gallon to 120 gallons. Most common are electric and gas ( natural and lp). Gas water heater units are popular among larger families. Maybe because of their quick recovery. Operating cost of a gas unit depends on the area you live in and time of year. Gas units have generally become more complicated and less reliable over the last several years. With the event of digital gas valves. As well as inaccessible fresh air vents mounted in the bottom of the unit. Hard to find unusual parts. Many homeowners find themselves paying for high price service calls for what was once a simple do-it-yourself repair. If you are shopping for a new gas unit or parts. Try to keep it simple if you expect to do future repairs yourself. 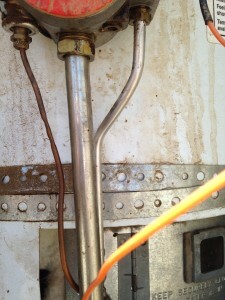 Look for a water heater with the old tried and true manual gas valve. Fresh air vents should be on the side of heater where the filters are easily accessible. ‘Tankless, also called “on demand” or “Instant” water heaters have become very popular over the last several years. Unlike a storage or tank-type water heater, tankless units only heat water when you need it. Perhaps the most appealing aspect of tankless units is a never ending supply of hot water. You could, literally, fill a swimming pool with hot water if you wished, not to mention long hot showers. Tankless units are sized by gallons per minute of hot water produced. Smaller units that produce one to four gallons per minute are very popular. They are used for hand washing sinks, outdoor kitchens, camping showers, work shops and many other applications. Mid winter incoming water temperature plus hot water needs must be considered when sizing a tankless unit. Tankless water heaters take up much less space than a conventional storage water heaters. The larger water heater units are smaller than the average size suitcase. You can purchase a tankless unit that operates on electricity, natural gas or liquid propane. Gas units are popular, especially for whole house water heating. Outdoor units are also available. Eliminating the need for complicated venting is our goal. “Heat pump water heaters pull hot air from the surrounding area and use it to heat the water. The unit will then exhaust cool air back into the room, unless its vented outside. Now A heat pump can be added to your existing water heater. It can be mounted on top of the heater or near it.